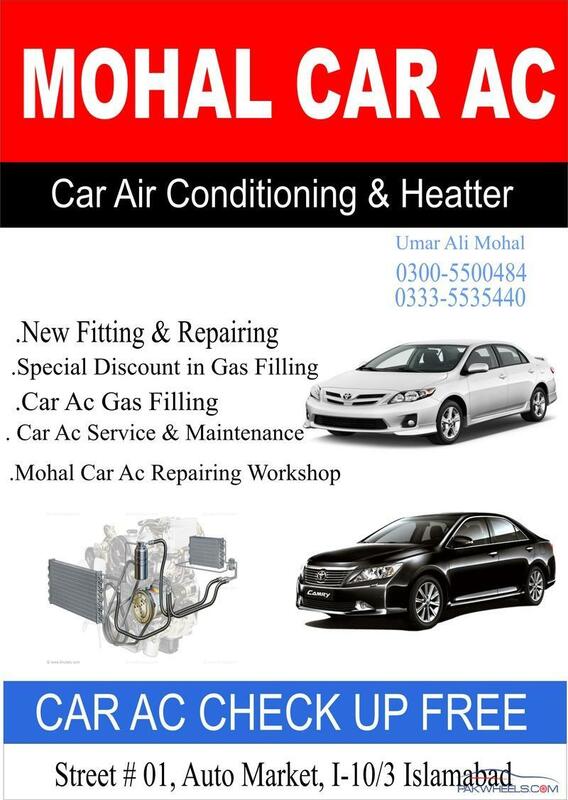 Best AC workshop in Pindi/Islamabad? is it some new shop or you trying to say eastern car ac? any one recently did AC work , kindly tell me good mechanic in RWP / Isl. Can someone clarify the confusion whether its Eastern car cool or western car cool.. I ve seen eatern car cool in the street after the road in front of ghakar palza saddar finishes, while giong to the cantt railway station.. and there is a chowk and from there if you turn right there is a whole market of AC walas and Eastern car cool is the 7th - 10th shop. Many good, better and best workshops are listed in this thread, but can anybody tell about a workshop practicing the actual technical method of recharging the gas, using different temperature, RPM and Pressure readings? I have purchased a Suzuki Alto Lepo 658CC in amnesty Scheme. It is 2001 Model car but its AC is not working properly. Only work good when fan is on 4th point. No cooling till 2nd point. :( Idon't know what is wrong with it. Please suggest me what should i do? Abu bhakkar is really a nice guy , today i go with my old sedan for AC service , he did his job very well . thank you all guys and pakwheels. Best AC guy in twin cities is ABU BAKR without any doubt, for me atleast. 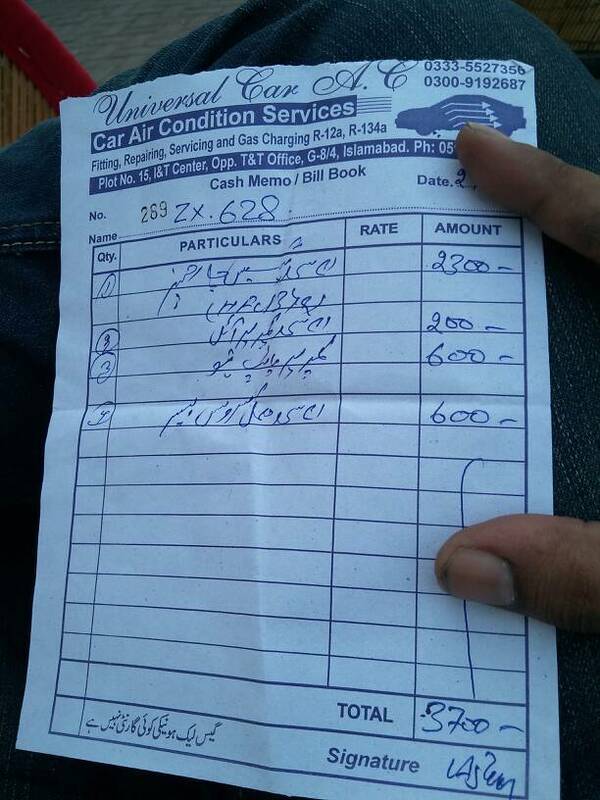 Eastern car AC made an estimate of 4500 rupees to replace the magnetic coil. At universal car AC, abu bakar fixed it for 500 rupees. he also opened the blower for service, but as he found it cleaned so refused to take anything for that. Paid visit to ABU Bakar at universal car AC, nice humble guy, recommended as diagnosed the fault rightly and rates are good. I think universal car a/c (i&t centre, g-8, isb). contact person is abu bakar (0300-9192687) is best option for you. another one is saad ac in front of police chowki, saddar rawalpindi, behind majeed plaza. really a great person and smart in working. tried and tested personally, good man and smart working upto your satisfaction ..
Will be going to a AC shop in a day or two. I always used to go to Athar Car AC F-10 in the past but seems like many people here are recommending Abu Bakar in G-8 so I might try him out. Can I use someone's reference from here? Guaranteed Work and cheap labor costs.